Former senator David Leyonhjelm’s state political career is over, with the NSW Electoral Commission’s final count revealing the Liberal Democrats did not win an Upper House seat. The count determined all 21 seats in the NSW Upper House, with the Coalition winning eight, Labor seven, two each for the Greens and One Nation, and one each for the Shooters, Fishers and Farmers Party and Animal Justice Party. The results end a three-way race between Christian Democrat MLC Paul Green, One Nation’s second candidate Rod Roberts and Mr Leyonhjelm for the final seats. The Liberal Democrats secured 0.46 of a quota, or just under half the votes they needed to win a seat in the Upper House before the final count. That meant Mr Leyonhjelm was relying on preferences to make up a full quota. 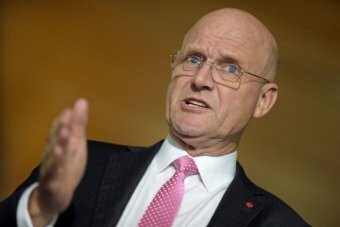 In a blog post two weeks ago titled “a manifesto for a crossbencher”, Mr Leyonhjelm announced it was “evident” he had been elected.